Centro Cultural del Bosque (CCB) belongs to the National Institute of Fine Arts (INBA), part of the National Council for Culture and the Arts (Conaculta). It is the largest Performing Arts complex in Mexico, with one of the busiest programs in the Americas, with 8 stages, also housing the National School of Folkloric Dance, the Artistic Areas of the National Dance Company and of the Fine Arts’ Chamber Orchestra, INBA’s offices, rehearsal rooms, an arts’ library, an open-air Plaza and more; located in an emblematic location in Mexico City. The population of CCB reaches up to 1000 people daily, counting employees, teachers, students, actors, dancers, directors, choreographers, musicians and technical staff, increasing every day up to 3,000 with public, artistic companies and visitors. Situated in one of the most significant cultural enclaves of Mexico, Centro Cultural del Bosque is a reflection of Mexico City: plural and incommensurable. It is where the different paths of actors, dancers, choreographers, directors, playwrights, set designers, theatre illuminators, musicians, stagehands and wardrobe designers cross with those of architects, students, sculptors, Olympic medal winners, cultural promoters, and especially, the public. CCB was designed half a century ago, by the world renowned architect Pedro Ramírez Vázquez, with a privileged location on Paseo de la Reforma, close to Chapultepec Parks and Castle, as well as to the National Museum of Anthropology, the Tamayo Contemporary Art Museum and the Museum of Modern Art, among others, within walking distance of a subway station (Auditorio), the public biking system and bus transportation in Mexico City’s Polanco neighborhood. CCB was originally conceived as an equestrian center, then, it was transformed into the first national arts’ school with the Theatre Arts’ School and the Mexican Academy of Dance, that eventually formed the CNA (National Center for the Arts). Five decades ago, CCB started its mission of offering a vast array of theatre, dance, and other artistic projects, both in its traditional sense, and also in the most cutting edge fashion, opening spaces for scenic experimentation, as well as founding in its premises academies and schools that are influential forerunners in the country´s artistic endeavor. In its different stages, CCB has shown some of the best theatre and dance projects, as well as music, opera, visual and sound arts, audio-visual and interdisciplinary artistic expressions. The cultural offerings continue in the halls and open spaces that integrate CCB, always betting on a rich and varied spectrum, that invites projects from different eras and genres. In 2012, Centro Cultural del Bosque, celebrated its 50th anniversary with more than 25 events throughout the year. During the month of July, a special multidisciplinary program, featuring classical, traditional and contemporary arts events, was presented by the Direction of CCB, under the coordination of Arturo Delgado. More than 20 multidisciplinary events were presented free of charge in the different theatres of the CCB, as well as in the newly adapted open-air plaza “Ángel Salas”, where CCB Sessions, which included contemporary dance, sound art, electro-acoustic and alternative music, was one of the public´s favorites. Eugenio Echeverría, founder and director ofl Border Cultural Center, was the guest curator in charge of inviting graffiti artist Dhear, to paint the façade of The Dance Theatre; the group Colectivo Chachacha!, to intervene the hall adjacent to the National Theatre Company; and the collaborative efforts of La Piztola, from Oaxaca, to work over the exterior of the National School of Folkloric Dance. Bárbara Perea, expert in new media art, was invited to curate for this occasion work by renowned visual artists Enrique Jezik and Iván Abreu, by sound artist Manuel Rocha Iturbide, and by the group Astrovandalistas. For this momentous celebration, CCB showed work by the Fine Arts’ Chamber Orchestra, the National School of Folkloric Dance and special international dance presentations. Also, a monumental photo exhibit was mounted on Paseo de la Reforma, showcasing images of historic mise-en-scenes that have taken place in CCB, along the last 30 years. The event was launched by Miguel Ángel Rosas and Alejandra Gilling, from Mexico City´s Ministry of Culture, the former INBA Director, Teresa Vicencio and the current Director of CCB, Arturo Delgado. The publication of the book “CCB 50, a Commemorative Memory”, celebrates this event with archival images, historical data and exclusive testimonies of important Mexican playwrights, actors, dancers, choreographers, directors, set designers, architects, stagehands and promoters, such as Juan Villoro, Martín Acosta, Susana Alexánder, Jorge Ballina, José Castillo, Karina Gidi, Nellie Happee, Alejandro Luna, Cuauhtémoc Nájera, Tania Pérez-Salas, José Solé and Luis de Tavira, among others. The memoire has introductory texts by the former President of Conaculta, Consuelo Sáizar, the former INBA Director, Teresa Vicencio and the current Director of CCB, Arturo Delgado. 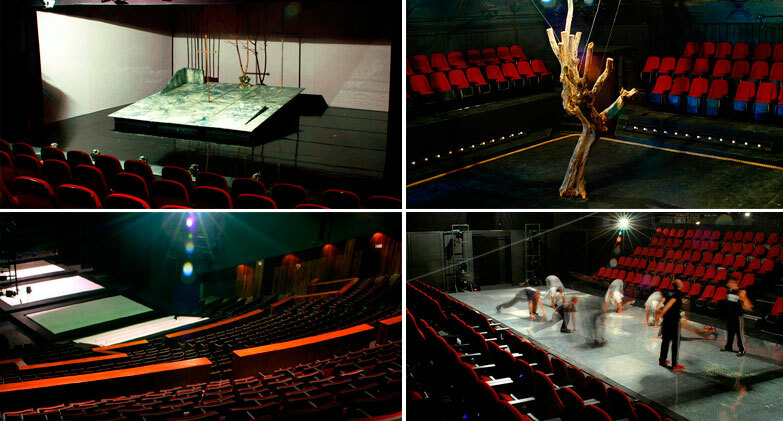 During 2012, after councils, meetings and analysis, the Centro Cultural del Bosque renovated some of its outdoors installations and its emblematic Julio Castillo Theatre, under the coordination of the Director of CCB, Arturo Delgado. The Julio Castillo Theatre lobby was redesigned by architects Jose Castillo and Saidee Springall, founders and directors of arquitectura 911, with the expert advice of awarded Mexican set designer and architect Alejandro Luna. In addition, the common areas around the complex were refurbished. For this endeavor, more than 30 entities were coordinated by the Director of CCB, Arturo Delgado and INBA´s supervision: cultural authorities, public and private, federal and local authorities, architects and theatre advisers. This project was approved by a special committee integrated by SEP, Conaculta, INBA, Auditorio Nacional, Ministry of Culture D.F. and architect Teodoro González de León, among many others. The renovation work endow CCB with better civil protection services, signaling, floors and sidewalks, parking for bicycles, lighting, roofing and disabled access. 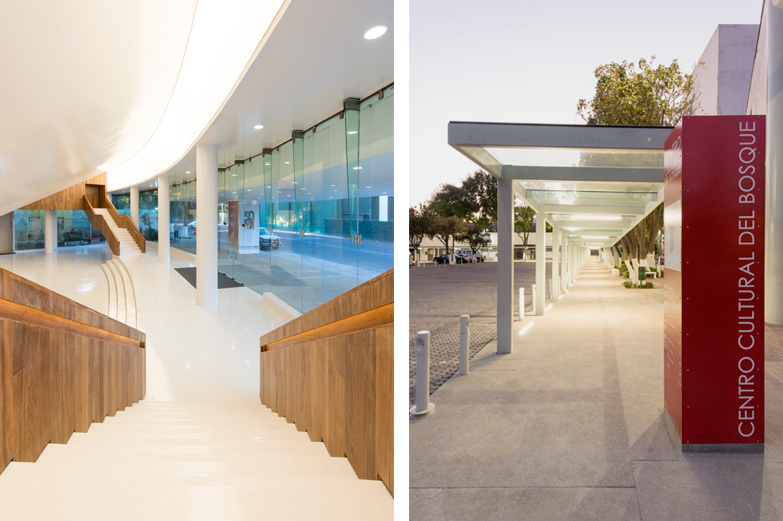 The Ángel Salas Plaza was equipped and an exterior info/tech cabin was installed. Also, the fountain Children´s Play by Mexican architect Pedro Ramírez Vázquez and Mexican artist Augusto Escobero, was restored in collaboration with the INBA´s Centro Nacional de Conservación y Registro del Patrimonio Artístico Mueble (Cencropam). The architectural intervention to the lobby of the Julio Castillo Theatre, one of the most versatile in the Institute, resolved civil protection measures, access, and renewed artistic value with new restrooms, lighting, floodgates, ramps and internal and external stairs for access to the hall. It consolidates the theatre as one of the most important venues of INBA, with 1000 seats. Due to its multifunctional nature, the CCB complex, which houses theatres, halls, the artistic areas of the national companies of dance and theatre, schools, the EDUCAL library and the offices for 14 different areas of the institute, INBA through CCB, coordinated the renovation works without interrupting any activity or scheduled performance.